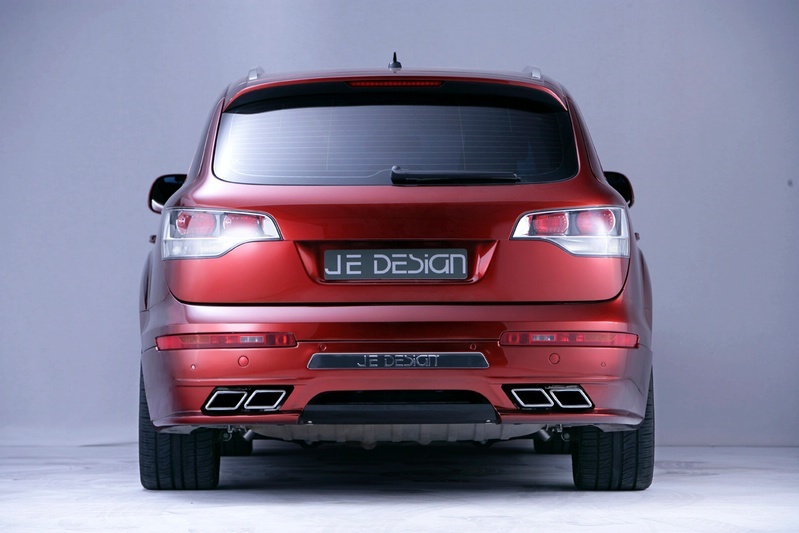 Je Design “Rocket Street” enjoys a very sporty look thanks to the sports kit “Street Sports”. It contains a new front spoiler that includes the lower two pairs of headlamps, a new rear spoiler with four drums of filtering and a mini-speaker and rims on 22 inches that were sport tires with the dimensions 295/30 ZR 22. 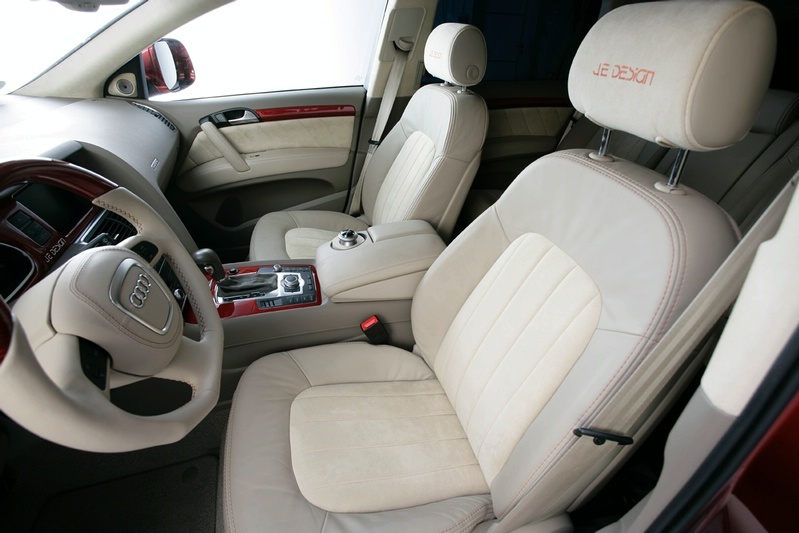 The interior find insert in carbon fiber color red and white-beige leather. Those from Je Design offer some improvements to the engine, too. 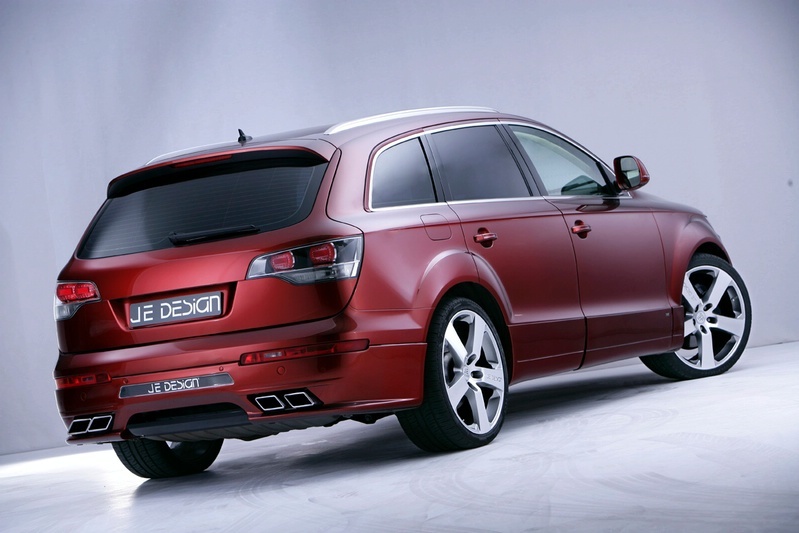 3.0 TDI engine power increased from 233 HP and 500 Nm up to 285 HP and 550 Nm. 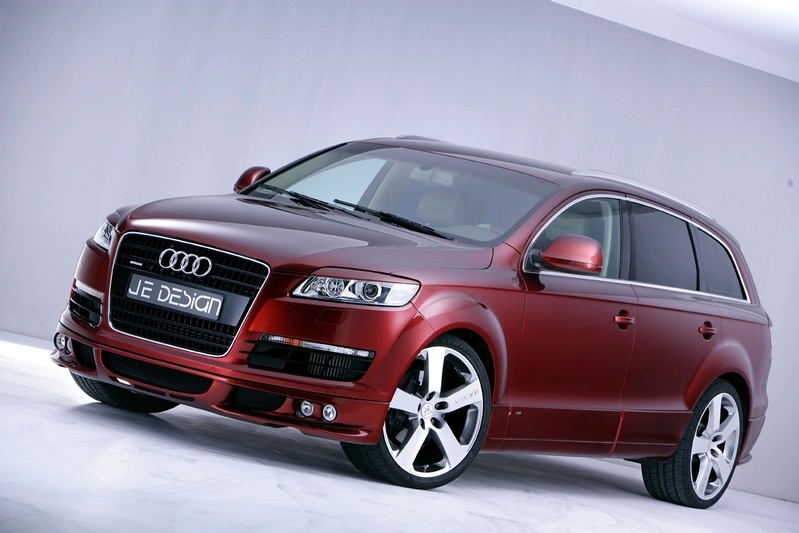 Thanks to the growth of power, Audi Q7 now accelerate from 0 to 100 km / h in 8.4 seconds. Top speed also increased to 219 km / h. The German tuners have changed and gas V8 engine of 4.2 liters and a compressor, it now developing a maximum power of 500 horse power. The price for both the exterior and the interior are quite expensive, of 61,000 Euro.